As some of you may know we bought the blueberry farm 2 years ago from the Cote’s who had started it about 20 years ago. 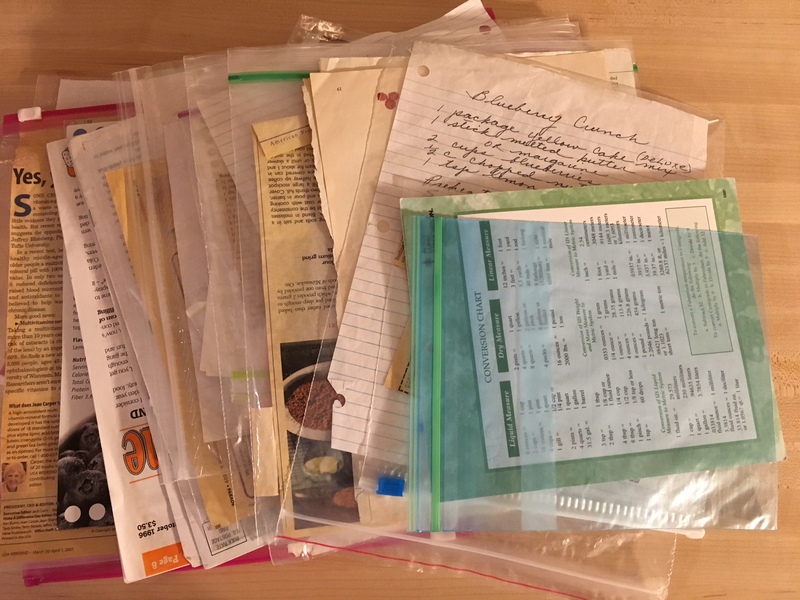 MaryRose Cote had been collecting blueberry recipes for years. This past blueberry season I was given the whole collection and it’s HUGE! Rather than letting it sit there, I have decided to select a recipe each month and share it with you all. Enjoy and let me know what you think! For my first recipe I decided to make something easy. 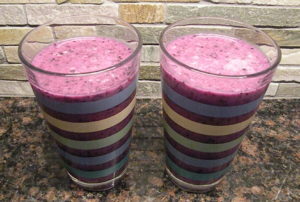 It was also very hot today (90 degrees) so I thought a cool refreshing smoothie would be great! 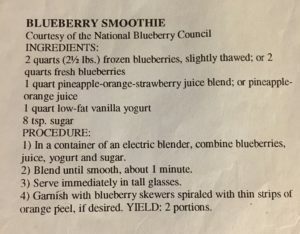 Now, I’m not a big smoothie drinker but this turned out pretty good. There are only 4 ingredients. For the vanilla yogurt I used local yogurt from Huckins farm. I couldn’t find any pineapple/orange juice or pineapple/orange/strawberry juice so I went with straight pineapple juice. The blueberries were frozen and I didn’t thaw them, I did wash them and take out any stems. 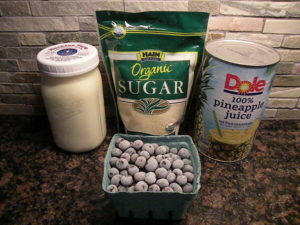 I put the yogurt, pineapple juice, sugar and blueberries into a blender and blended until smooth. Time to drink up! Rick loved it and wants me to make it again. 2. 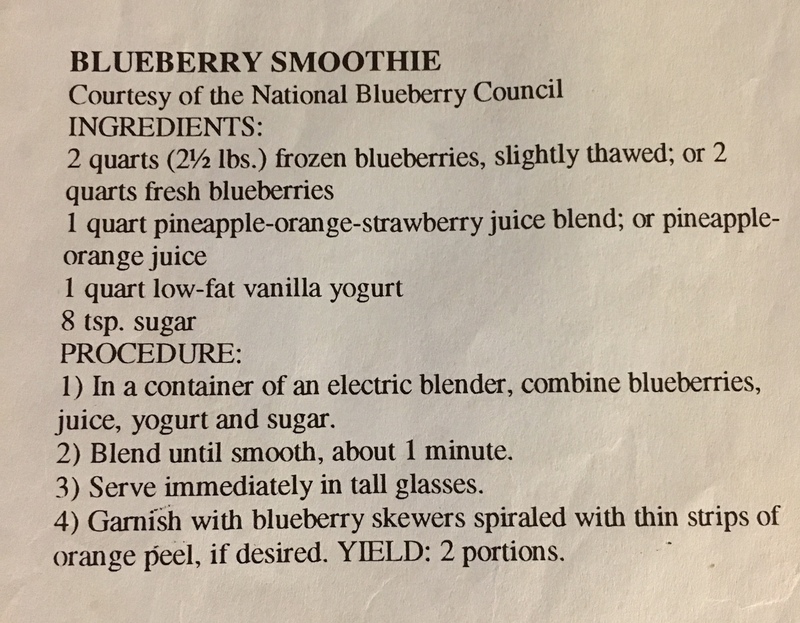 Blend until smooth, about 1 minute. 4. 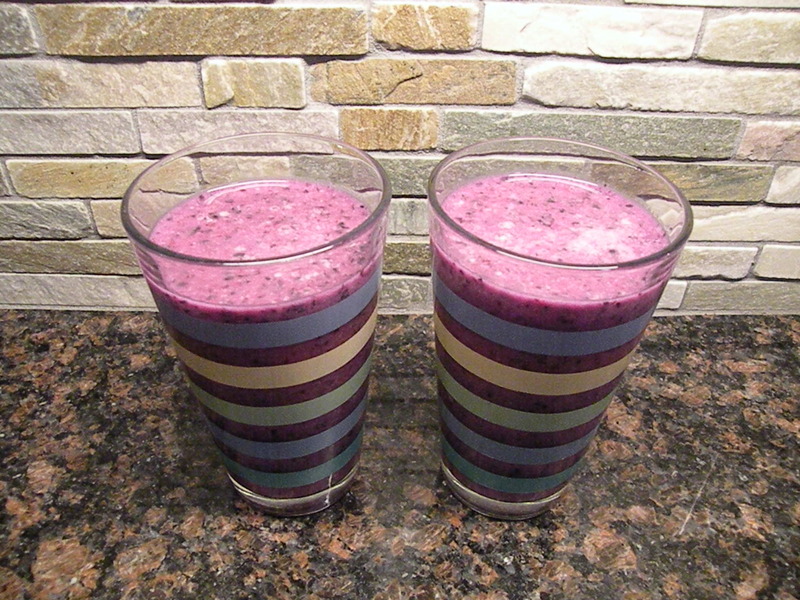 Garnish with blueberry skewers spiraled with thin strips of orange peel, if desired. ← Waiting for more blueberries to ripen!